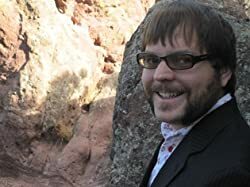 Alex Marshall is a pseudonym of author Jesse Bullington. He spent the bulk of his formative years in rural Pennsylvania, the Netherlands, and Tallahassee, Florida. He is a folklore enthusiast who holds a bachelor’s degree in History and English Literature from Florida State University. He currently resides in Colorado. Learn more at Jesse Bullington’s website. CLICK HERE FOR MORE STORIES BY ALEX MARSHALL. Crimson Empire — (2015-2017) Twenty years ago, feared general Cobalt Zosia led her five villainous captains and mercenary army into battle, wrestling monsters and toppling an empire. When there were no more titles to win and no more worlds to conquer, she retired and gave up her legend to history. Now the peace she carved for herself has been shattered by the unprovoked slaughter of her village. Seeking bloody vengeance, Zosia heads for battle once more, but to find justice she must confront grudge-bearing enemies, once-loyal allies, and an unknown army that marches under a familiar banner. FIVE VILLAINS. ONE LEGENDARY GENERAL. A FINAL QUEST FOR VENGEANCE. 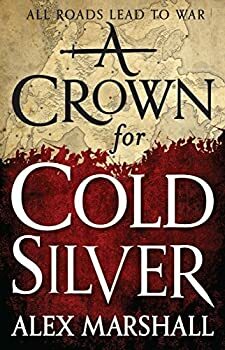 A Crown for Cold Silver is a big, brassy, gut-buster of a fantasy, weighing in at over 650 pages. Alex Marshall has crafted a multi-layered tale (or song, if you prefer the parlance of The Star) of bloody vengeance, personal glory, and the unimaginable consequences of a single careless wish. Clear your calendar, stock up on snacks, and silence the phone — this is a serious investment of time, but one which is well worth your attention. 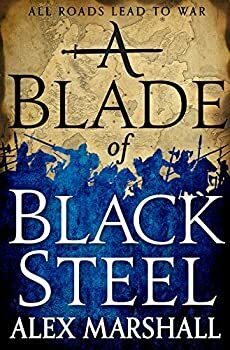 Alex Marshall‘s A Blade of Black Steel (2016), the sequel to A Crown for Cold Silver, continues turning the sword-and-sorcery genre on its head while displaying Marshall’s obvious love of both swords and sorcery. Character development is the key this time around, much to the enrichment of the novel itself and the series as a whole. But don’t get too complacent — the entire world may be coming to an end, after all. Warning: there will be some mild spoilers for A Crown for Cold Silver. 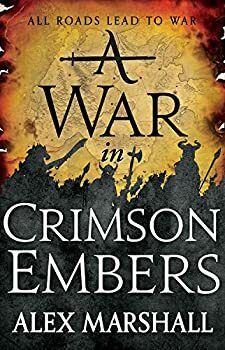 Fair warning: if you haven’t read the previous two novels in Alex Marshall’s CRIMSON EMPIRE trilogy, A Crown for Cold Silver and A Blade of Black Steel, you aren’t going to have any understanding for what’s happening in A War in Crimson Embers (2017). It’s vitally important that these books are read in order!